Rockland is more than landscaping supplies! During the winter months, Rockland offers commercial snow management services to keep parking lots, roadways and sidewalks clear of snow and ice. Our team spends their days and nights making sure we are providing reliable snow management services. What kind of services are included in commercial snow management? We offer snow removal services where our goal is to clear the parking lot as close to the pavement as possible... every time! Our sidewalk crew will ensure that curbs are exposed so that pedestrians and drivers can safely navigate your commercial sidewalks and parking lots. We also offer de-icing with Calcium Chloride and anti-icing services such as parking lot sanding and salt application. We even provide lot sweeping services once spring arrives to ensure your parking lots and sidewalks are clean and safe for the season. 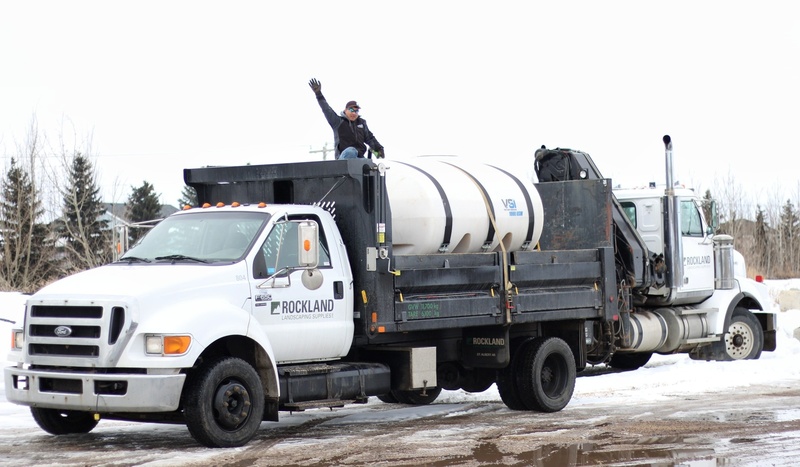 What makes Rockland different from other commercial snow removal companies? 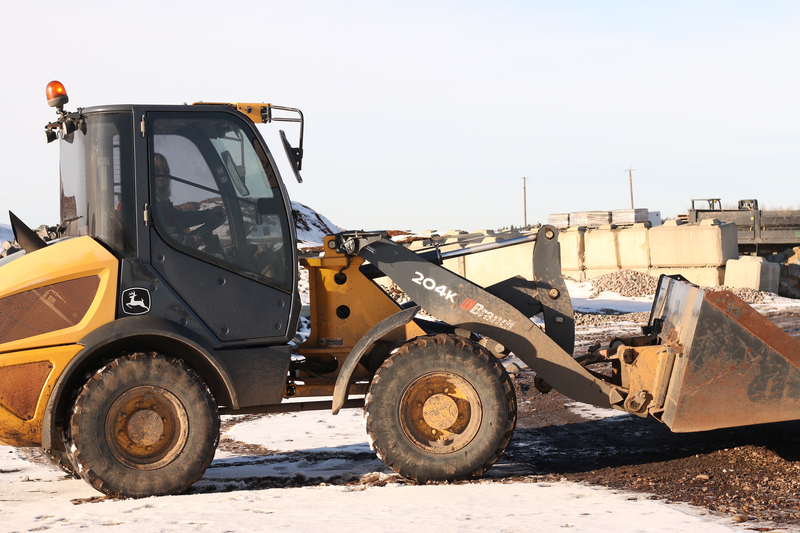 Rockland has the fleet and equipment to not just clear snow using our skidsteers , loaders and graders but we can also load and haul snow away, so that parking stalls can be fully utilized and are not occupied with unnecessary snow piles. 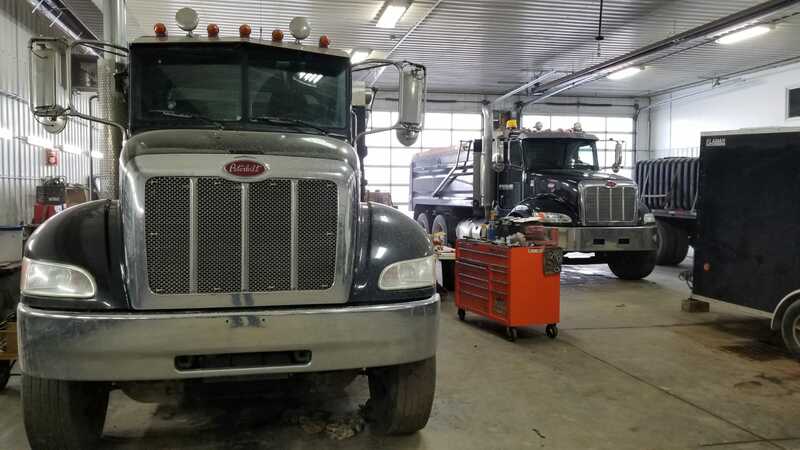 Our large fleet allows us to provide speedy, reliable service and not to mention that Property Managers love our 24-hour lot monitoring option which saves them time from even picking up the phone! How does Calcium Chloride work to prevent ice build up? We spray parking lots with Calcium Chloride before a snow fall to prevent ice and snow bonding to the pavement. Once the surface is treated, snow will melt on contact which minimizes snow accumulation and slippery conditions from formation of ice or packed down snow. Calcium Chloride is a cost effective way to keep parking lots safe for those visiting your business or property. What is included in your parking lot maintenance packages? Rockland will provide a service package to fit your needs. We offer a free on-site assessment to determine the requirements of the job and discuss your schedule including first or second night clearings, priority, on call and emergency services. Our full service contracts include 24-hour lot monitoring which gives you peace of mind during the worst of winter in Edmonton. Our crews will handle any and all snow conditions to ensure your lots and sidewalks are ready for your customers! Do I need to have a commercial parking lot maintenance contract? No, you can call or email us any time for an emergency or one-time service like snow removal, sanding, de-icing or lot sweeping. We even partner with other Edmonton snow removal companies if they need additional help hauling snow or sanding with our tandem sanding trucks (pictured below). Why should I book Rockland snow management services? Our crews are reliable and committed to keeping your lots clear and your customers safe. We pride ourselves on knowledge, an excellent customer experience, and adapting to Edmonton's crazy winter weather patterns. Find out why we're known for #rocksolidservice!